How do you create the right pricing for a membership site, especially one that is just launching? Even sophisticated online entrepreneurs struggle with that question. And while there are many ways to optimize your pricing plans once your site is launched, starting with the right foundation will make it easier to improve. 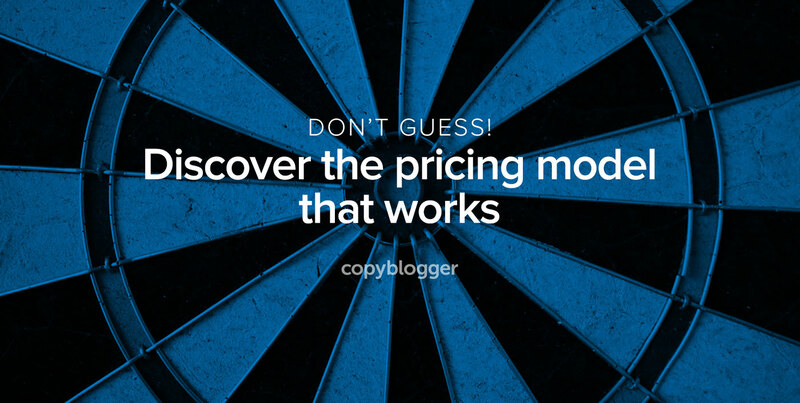 In this post, I will walk you through a basic framework you can use to determine the best pricing models for any type of membership site. You are in control of your pricing. There is no national database of pricing that you have to follow. You are in control of everything when it comes to pricing — so don’t feel like you have to do what everyone else does. Yes, the “market” does decide if your price is “right.” But you influence the perception of your price through the unique value you offer. So toss out any preconceived notions of what you have to do and focus on what works for you. You should think of your costs as the money you spend to fulfill the customer’s purchase. And these costs are different from expenses. An expense is the money you spend to run your business. Expenses are not costs even though you spend money on them. Unless you identify your costs, it makes it very hard to determine your profit. Profit is defined as your revenue less your costs and before you pay any expenses. And as a general rule of thumb, a membership site should generate a profit margin between 90 percent – 75 percent. Or put another way, for every $100 you collect in revenue, your costs should be $10 – $25, netting you a profit of $90 – $75 per sale. Based on these items, your total costs are $100,000 per year, before you pay for any expenses. And if your costs are 10 percent – 25 percent of your total revenue, your target revenue is between $400,000 and $1,000,000 per year. Your profit will be between $300,000 and $900,000 per year. That’s a lot of money, but don’t get too excited yet. You will still need to pay for your affiliate commissions, advertising, and any other expenses you incur to operate your business — and that comes out of your profit. Now that we have covered your costs, let’s get to work on pricing your different membership categories and offers. An anchor offer is the most expensive membership type you sell. For example, your anchor offer could include telephone consulting, personalized daily emails, and/or exclusive access to webinars, conferences, or other high-touch events. Basically, it is the offer you would give to someone that includes everything you would ever want to provide to a person willing to pay you a huge premium. The good news is that very few people, if anyone, will buy it because it is so expensive! By creating a very high-priced offer, you anchor the expectations of website visitors for your lower-priced offerings. Your goal with your anchor offer is to create an emotional desire for it, knowing that most people can’t afford it. Luxury brands use this tactic all the time. Buying a luxury car? The most expensive ones are in the showroom. Want a deluxe coffee maker? They show you the $5,000 model first, before they show you the $500 one. When you create your anchor offer, you set the expectation of quality in the mind of your customer, even though they will probably buy your lower-priced membership. Once you’ve defined and priced your anchor product, you can create two other offers or categories for your members. Why just two? To avoid analysis paralysis. The first offer you need to create is the lowest price for a membership to your site — ideally between 10 percent and 25 perfect of the price for your anchor offer. This low-priced offer should meet the basic needs and wants of your customer, including some, but not all, of the features and attributes of the anchor offer. The second membership category is the mid-tier offer that is priced between the low price and your expensive anchor offer. It should have more benefits and features than your low-priced offer and is generally priced between 30 percent and 49 percent of your anchor offer. So, let’s say your anchor offer is priced at $97 per month, and you want your lowest-priced offer at 20 percent and your mid-tier offer at 40 percent. Your lowest price will be $19 per month and your mid-tier price will be $39 per month. We started this article with a basic discussion about costs, but we did not determine if those costs are sufficient to run your membership site. This is where a little math and a basic rule of thumb can help. In general, the average revenue per member you will receive from a membership site will be between your lowest-priced offer and your mid-tier offer. For example, if your lowest price is $19/month and your mid-tier price is $39/month, then your average revenue per member will be around $29/month. Let’s look back on our costs. We identified $100,000 of costs per year and we want to target $400,000 per year in revenue. That means that every month we need to generate $33,333 in revenue ($400,000/12 months). Does your $100,000 in annual costs allow you to support 1,149 members per month? If the answer is “yes,” then you are good to go. If the answer is “no,” then you either need to increase your pricing or lower your costs. Your head might be spinning right about now, but we want to make it easy for you. We have a new podcast called Members Only that helps you not only develop the pricing model for your membership site but also gives you the tactics and techniques you need to grow a profitable online business. Every week, Jessica Frick and I provide an entertaining format to discuss the challenges online entrepreneurs face with ideas that you can implement to improve your own site. So, if you are serious about running and growing a profitable membership site, we hope that you will tune in. And since the show is free, we know the price is right. Previous article: The Book is Launched! Now What? Super post Sean, knowing your costs is a great way to understand if you should open a membership site and how much it will cost for your members. Daniel, thank you and appreciate the comment. Really enjoyed reading your article and slideshare Sean. It’s one of the hardest parts of creating a membership site, it’s easy to undervalue a product you have created as there is always worry that no-one will pay over the average for it. I’ll be looking into these podcasts you mentioned. Jack, thank you and hope you enjoy our podcast show. But I think this method can be applied to every kind of customer acquisition strategy. You are restricting it by saying for Subscription Sites. Lokesh, you are correct, you can apply this to different acquisition strategies for online products or services. Thank you for the insight and comment.